There is little doubt that Todd Howard, game director at Bethesda Game Studios, is one of the biggest personalities of the video game world. After all, during his time at the Maryland-based company the man has directed games like The Elder Scrolls V: Skyrim and Fallout 4, with the latter being one of the best video games to be released back in 2015. It’s Skyrim, though, that’s arguably Bethesda’s top game to date, as the company’s open-world magnum opus is a role-playing adventure like no other, and one of the best RPGs ever made. And we already know that more people will be able to play Skyrim this year as Bethesda revealed last month that their 2011 classic will be ported to the Switch, being one of the most interesting games in the console’s third party line-up. 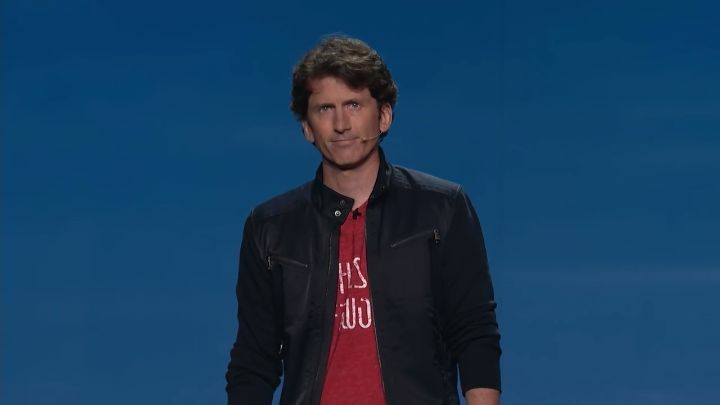 Todd Howard revealed his excitement for Nintendo’s upcoming console in a recent interview with GameSpot, saying that “it’s the kind of device that only Nintendo could make”, adding that “I think it’s a really smart platform” and that Bethesda was excited “to bring Skyrim to the Nintendo audience”. The Bethesda game director also talked about his personal game tastes, admitting that he plays “a lot of Overwatch”, adding he thinks Blizzard’s 2016 release is “a phenomenal game”. Howard praised Blizzard’s storytelling in Overwatch, saying that he thinks the US company did “a masterful job with how they’ve created these characters in their world that you love through their short videos and stuff”. And it’s clear that his peers in the video game industry likely think as much, as Overwatch recently won the Game of the Year and other awards in the 2017 DICE Awards, proving how much Overwatch has resonated with gamers to date. Plus Todd Howard himself was inducted in to the AIAS Hall of Fame during this year’s DICE Awards in recognition for his achievements in the video game industry, and hopefully the Bethesda man will keep producing great video games in the future for gamers worldwide to enjoy.